Hey - I am not a member, though i think about how and when to become one just about every day. Ofc this is a question about economy and priority (and time) - but also about me not having any people around me with the same enthusiasm for 501st and SW as I do. I know there are quite a few members from the areas around Oslo and I also have the feeling there is a good bunch in Trondheim, but how about Bergen? Second largest city in Norway and i have the feeling there are no members from here. Could the Norwegian members say where they are from and how that works with taking part in this community ant its events? And what costumes they have? Right now my main fantasy is to make a Boba Fett costume, but I might not make it and end up just being some kind of mandalorian. But some day i will be Boba Fett. I WILL!!! I also want Stromtrooper - classic. I have this passion and its always in my mind. Like an Obsession. And I'm not having any release - I know what i have to do, I'm just afraid! Sry about this rant and wall of text. There is as of now, only one member in Bergen unfortunately, and she hasn't been very active lately. She is a TK. Your projects and obsession sound very familiar. I am currently building Boba Fett and I would not recommend starting with him, as he is one of our most complicated costumes. And one of the most expensive ones. A TK on the other hand is easier and a classic, just start simple, and work your way through the idees, who says you can't do them all. Oh btw.Every costume has its own forum. "What I do? I seek answers"
Im going to have another "closet fan" Thomas contact you... For him joining up was a game changer..
Woho! Possible recruit from bergen! We need you! Please keep us posted on progress, and do ask all those silly questions that pop up. Send me a PM on facebook:) better to talk there. I have been a star wars fan as long as i can remember, but did not embrace my love for the SW universe befor i was over 30 years old:) and now im happy ...ooohhh yes. Hi, hope you don't mind me blowing the dust off this thread! Potential 35 yo recruit from Bergen here with an Anovos TK DIY kit soon on the way from the US. At the moment it is sitting at the freight forwarding company. My goal is to have it finished before the Rogue One premiere, but I won't rush the procedure and it will also have to compete with my other passion which is Star Wars LEGO. 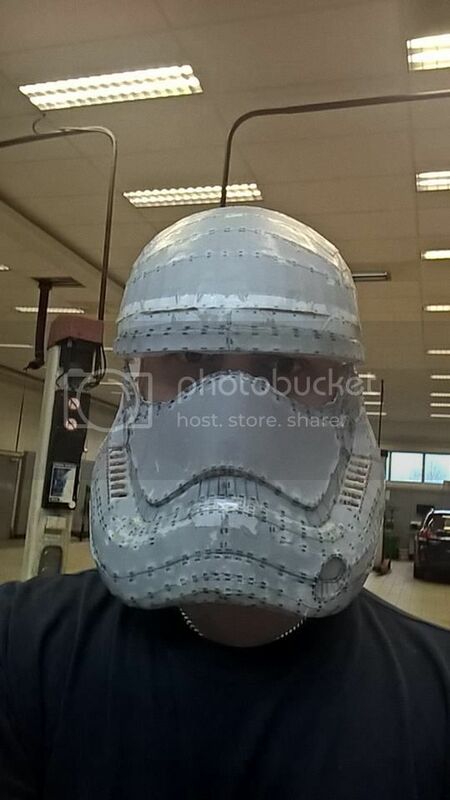 Was wondering if anyone else in the Bergen area are either currently working on their TK/other costume or thinking about joining the community? It would be fun to get something going here if at all possible. I know for certain I'm not going to let the armor sit in a closet when it's done! We need more (any) troopers in Bergen! Oslo, Trondheim, Stavanger and even Mo i Rana have active troopers. Why aren't there any in Bergen? It's a scandal!